There is no better place than London’s Design Centre for some Interior Inspiration as its all under one roof, or should I say 3 domes. 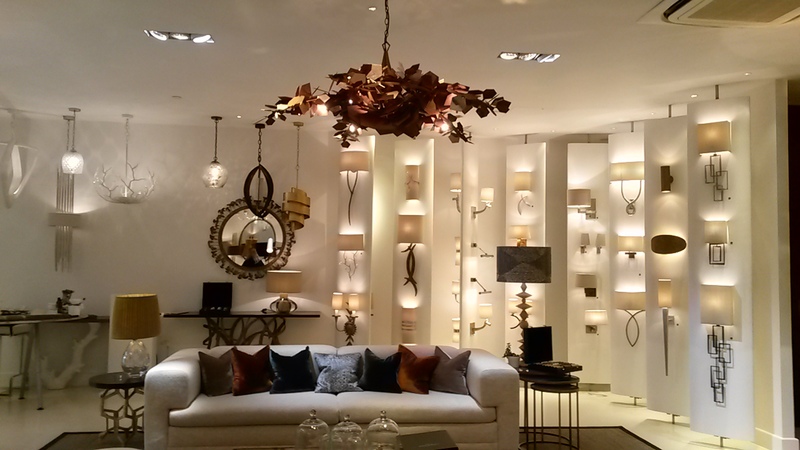 So this week, I headed to the Design Centre at Chelsea Harbour as it its London’s Design Week, when the place is a buzz of excitement, to see the recent newcomers and latest collections being launched, and to get some inside scoop of the latest trends. I adore lighting, so meeting Rebecca Weir and hearing all about what is in store for future lighting was also a highlight of the visit. 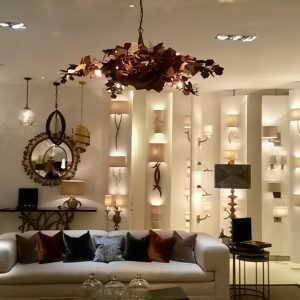 It will be no surprise that the top of my favourite list was Porta Romanas ceiling light that took pride and place in their stunning showroom, with its with 5 sprawling armed branches of luxuriously plates of copper and rust toned steel, giving it that warm colour pallet of flame oranges and reds, hence its name the ” Phoenix Chandelier”. The new edgy range in Baker by Laura Kirar, and the sofa was super comfortable, and had a huge selection of coverings to choose from too. These stunning pieces are designed and built to the same uncompromising quality of Baker furniture. 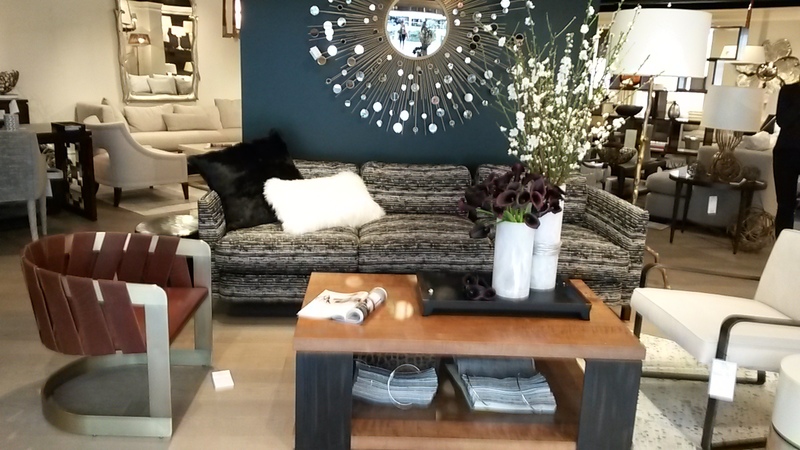 Loving that Thomas Pheasants Constellation Mirror above the range in this showroom too! 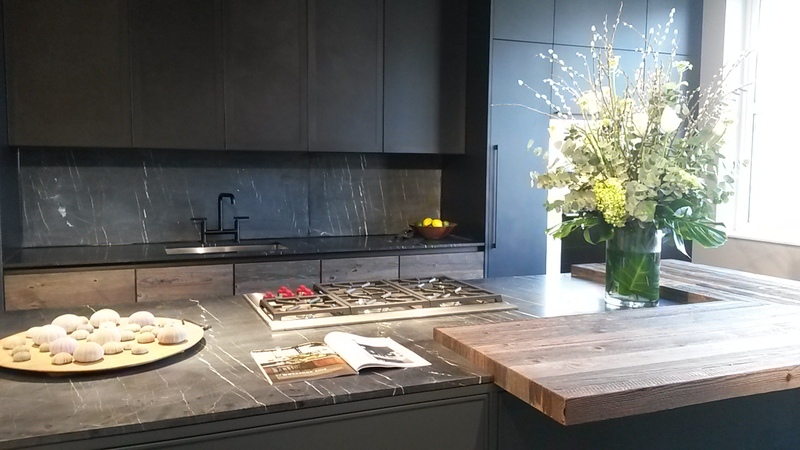 Espressos industrial-look kitchen – This winning design team at Espresso have come up with some amazing innovative technology – mixed it up with luxurious Italian styles giving the homeowner a truly amazing space. ..mmm.. perhaps one day! 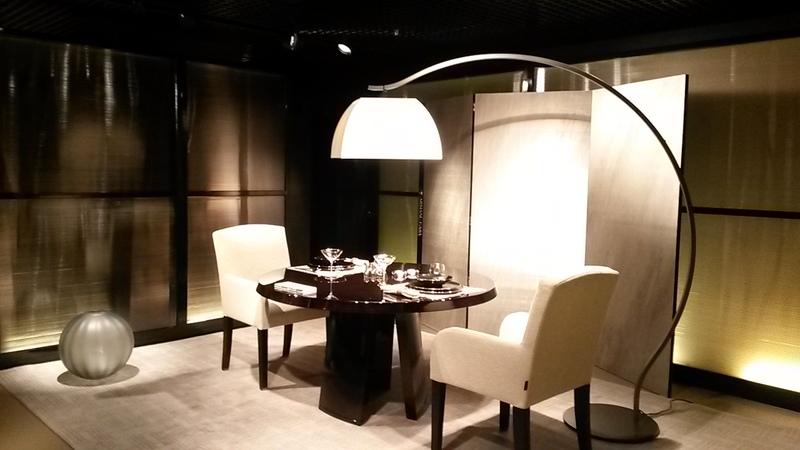 No trip would be complete without a mooch around the sophisticated showrooms of Armani/Casa to see the latest pieces in their day and night zones, where the items are beautifully lit in bright but soft lighting.